Printed on a white 100% cotton t-shirt. New design created from a vintage cigarette ad. 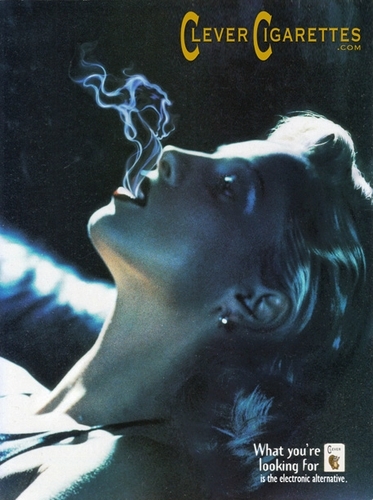 A woman sensuously leaning back with smoke swirling from her mouth. The print on bottom says "What you're Looking for is the Electronic Alternative" and a small cigarette box with the Clever Electronic Cigarette mascot.